"#Umurage travelled from Kigali to London last night: Captain& co-Pilot are both #Rwanda-ns! #Agaciro! 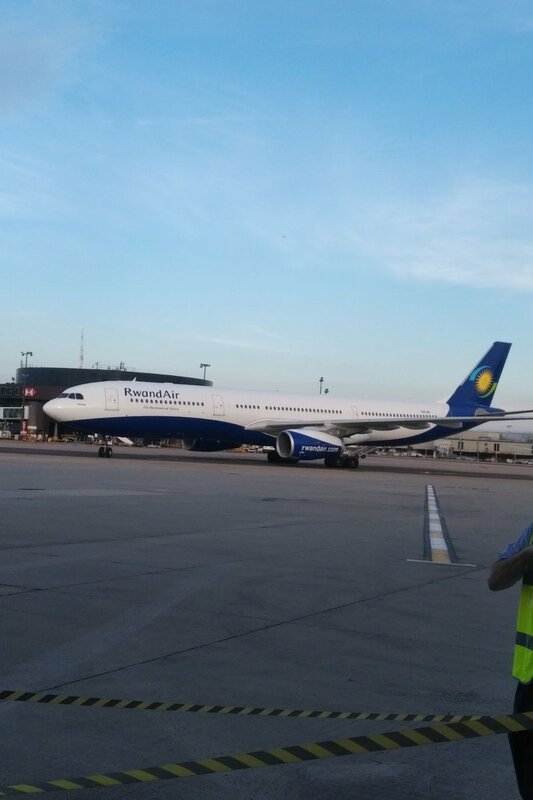 ** Thanks @FlyRwandAir"
It was the first time, on the Kigali London service. Text by RwandAir, picture by Sean J : https://www.flickr.com/photos/fotografia79/, in 2012. The line maintenance department announced the release of Jimmy Abdul Rahman Sekizinduka as a certified engineer on Bombardier CRJ-900NextGen aircraft. 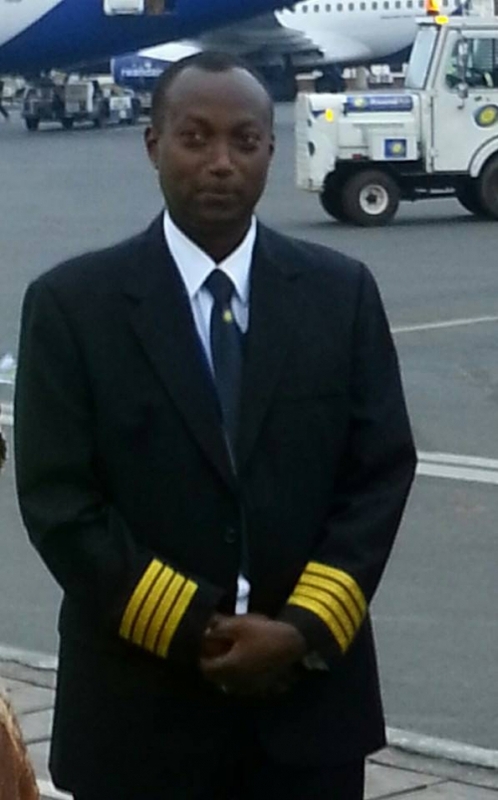 He is the first Rwandan Engineer to have achieved such a milestone in RwandAir. 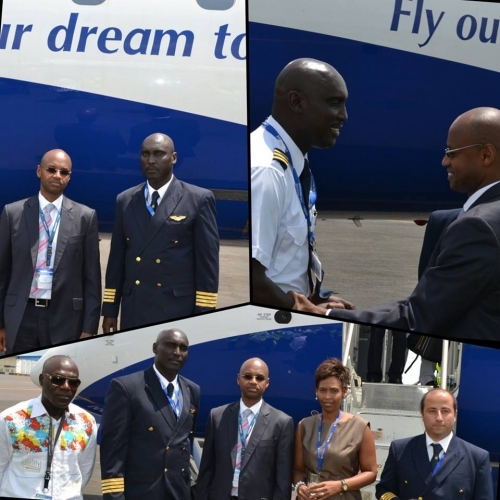 The line maintenance department which counts 31 engineers in total has 6 Rwandan certified engineers on Boeing 737 and will see two more Rwandan engineers getting the Bombardier CRJ900 certification by May this year. Eng. Jimmy is now in position to sign off and release the aircraft under SAMCO (the sub-contracted Aircraft Maintenance Organization - AMO) Quality Assurance system. 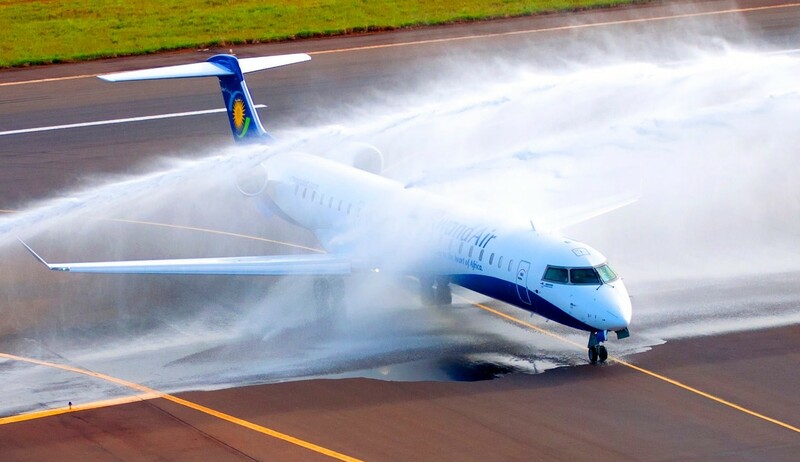 In a bid to cost cut and build our own capacity across the board, RwandAir is also working towards obtaining its own AMO certification on Bombardier CRJ by July this year; another ground breaking milestone. “ I take this opportunity again to congratulate Jimmy for the great achievement on becoming our first Rwandan certified Engineer on Bombardier CRJ 900NextGen and I encourage more Rwandan Engineers to follow his path” said Gerard Mutabazi, the Maintenance Manager on behalf RwandAir Management. The airline currently operates two Bombardier CRJ-900NextGen registered under 9XR-WH & WI, which were delivered brand new from Bombardier in 2012. The two dual class jets serve our Eastern and Central African routes. Captain Muvunyi started his aviation training in Nairobi, Kenya at the CMC Flying School which was followed by further training at Fort Worth, Texas, United States and he then finally completed his training at Toronto Canada in Flight Safety Aviation. 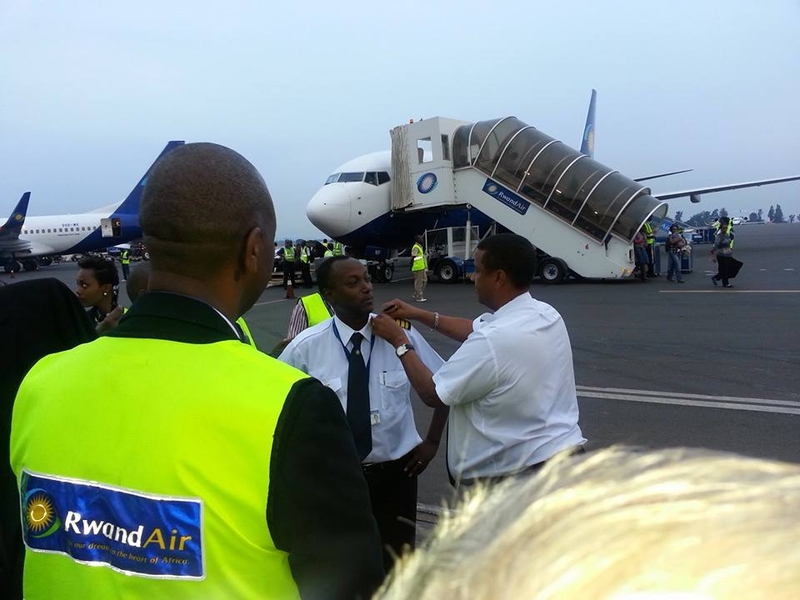 His wife Rose Muvunyi is also a member of the RwandAir family and is currently serving as the Product and Services Manager. In March 2013, we meet Esther Mbabazi (HERE) the first woman Rwandan pilot.Today, RwandAir celebrates its first Rwandan Captain rated on the B737-800. This year RwandAir sent about 20 Rwandans (Girls and Boys) to the Ethiopian Airlines Aviation Academy for a training pilot. 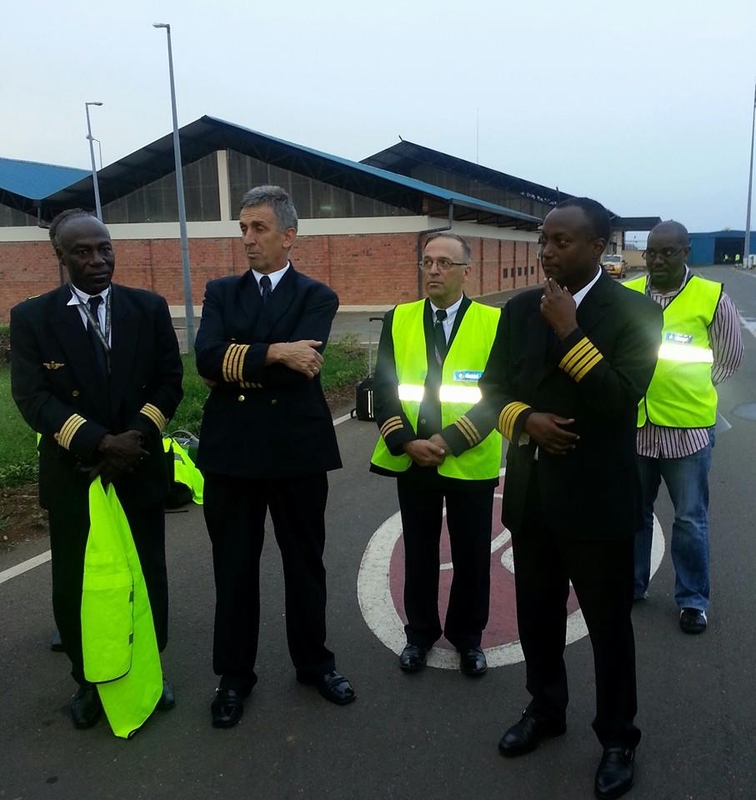 Captain Bosco just after operated RwandAir WB 423 from Entebbe (Uganda) with a B737-800.